Stainless hexagonal case 42 mm in diameter. 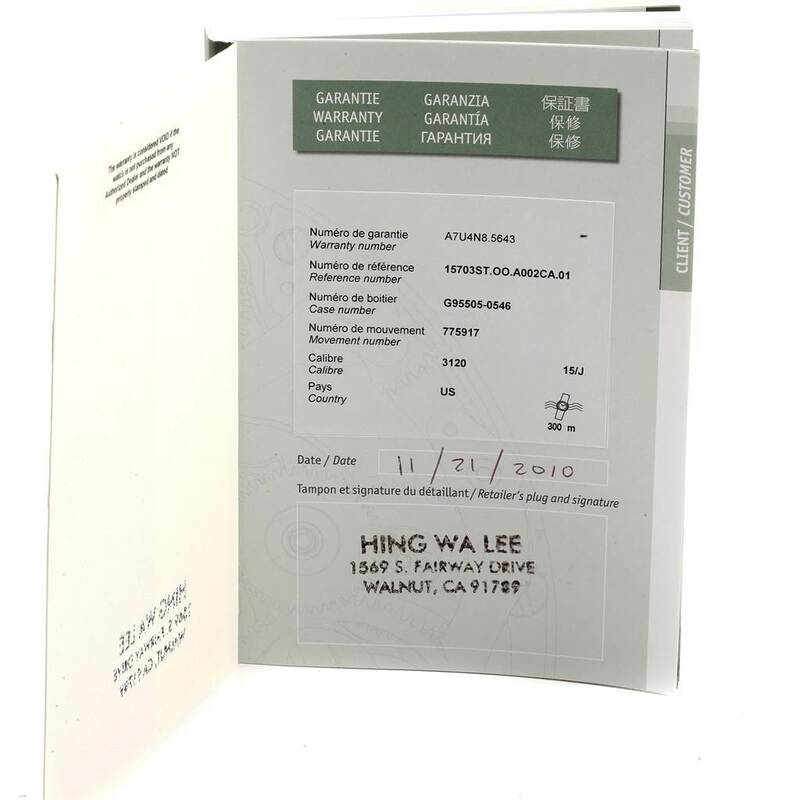 Case thickness: 13.9 mm. Solid case back. Black rubber-clad screw-locked crowns. 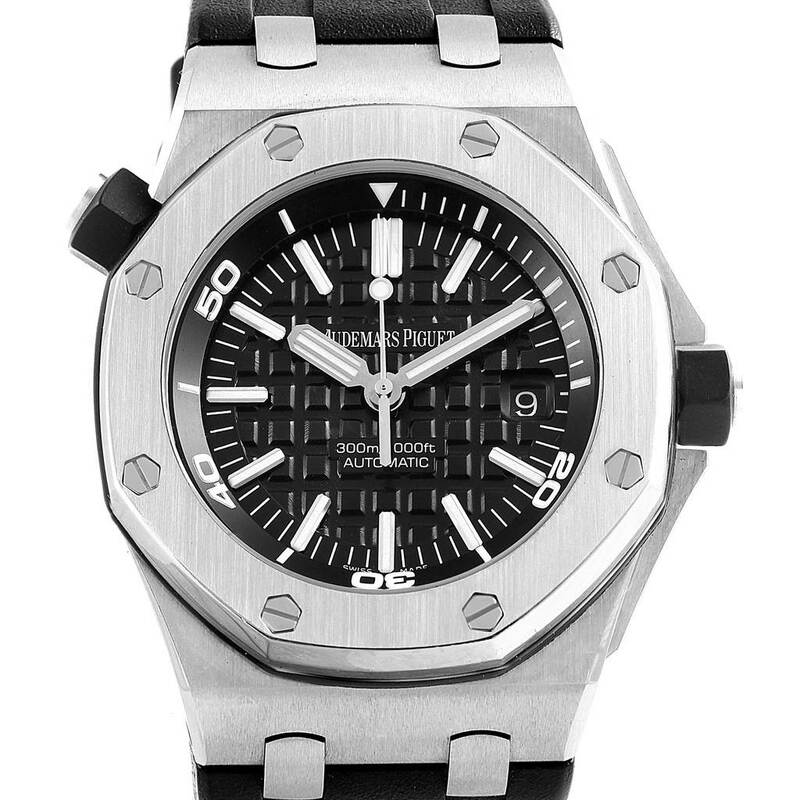 With Royal Oak OFFSHORE medallion. Stainless steel fixed bezel punctuated with 8 signature screws. Scratch resistant glareproof sapphire crystal. 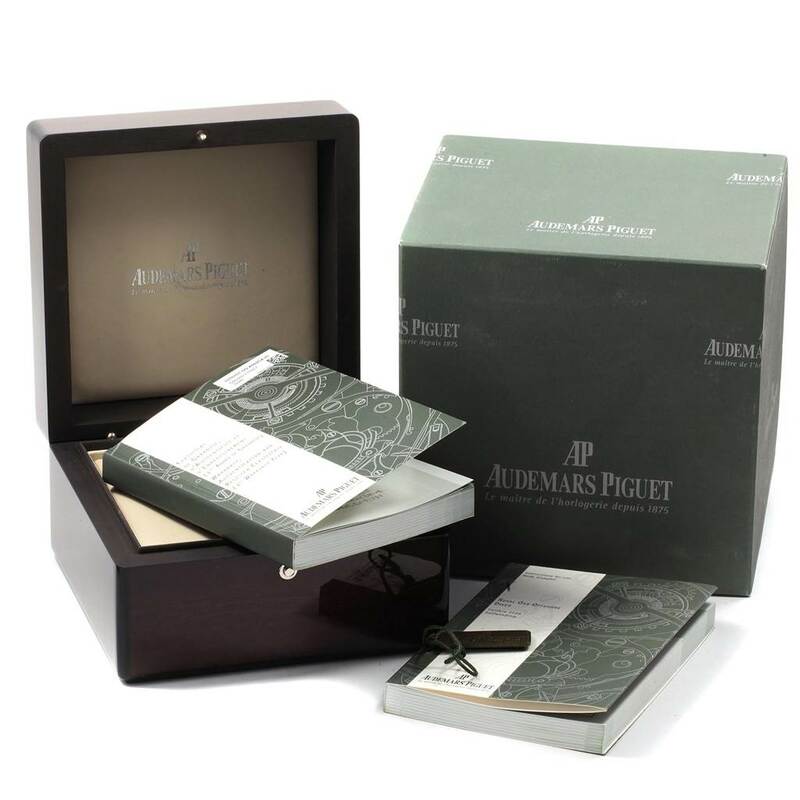 Black dial with Mega Tapisserie waffle pattern, white gold applied hour-markers and Royal Oak hands with luminescent coating. Hour hand faceted with 3 band of luminescent. Minute hand with single bank of luminescent. Seconds hand with a luminescent circle. Date window at 3 o'clock aperture. 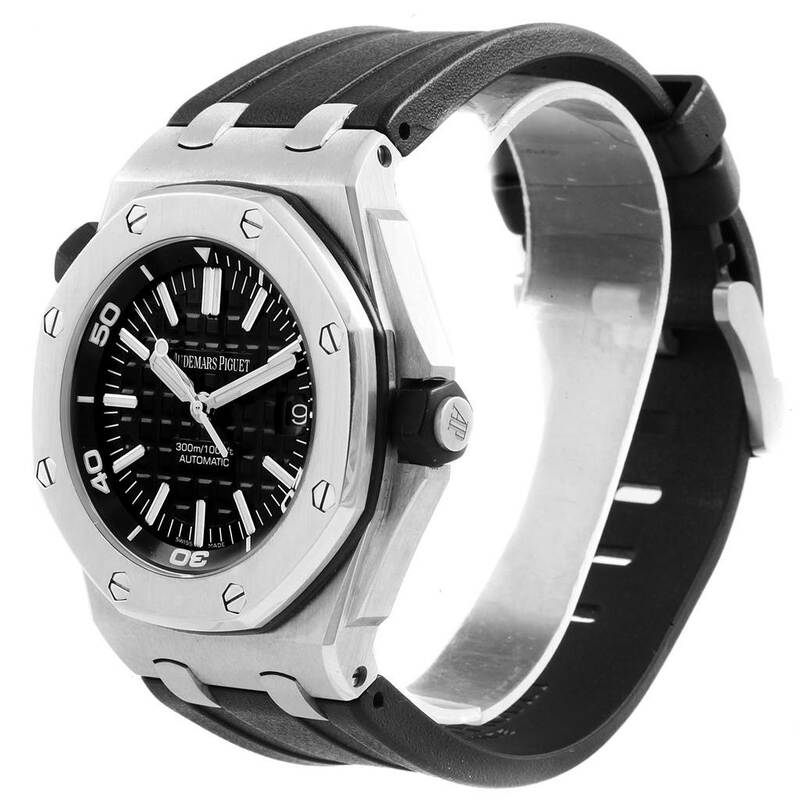 Black rotating inner bezel with diving scale and zone from 60 to 15 minutes. 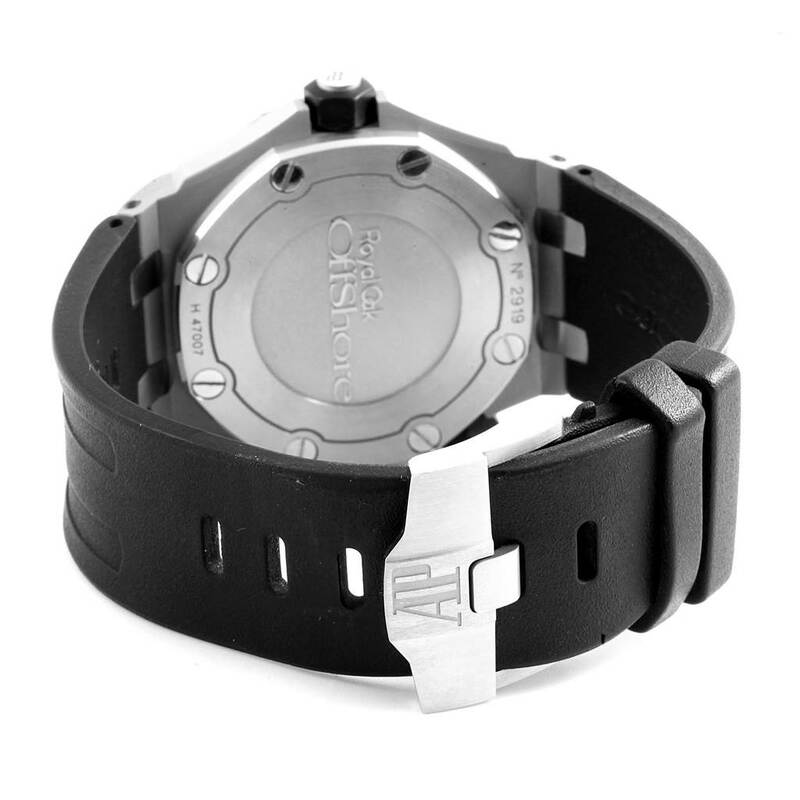 Black rubber strap with stainless steel tang buckle. 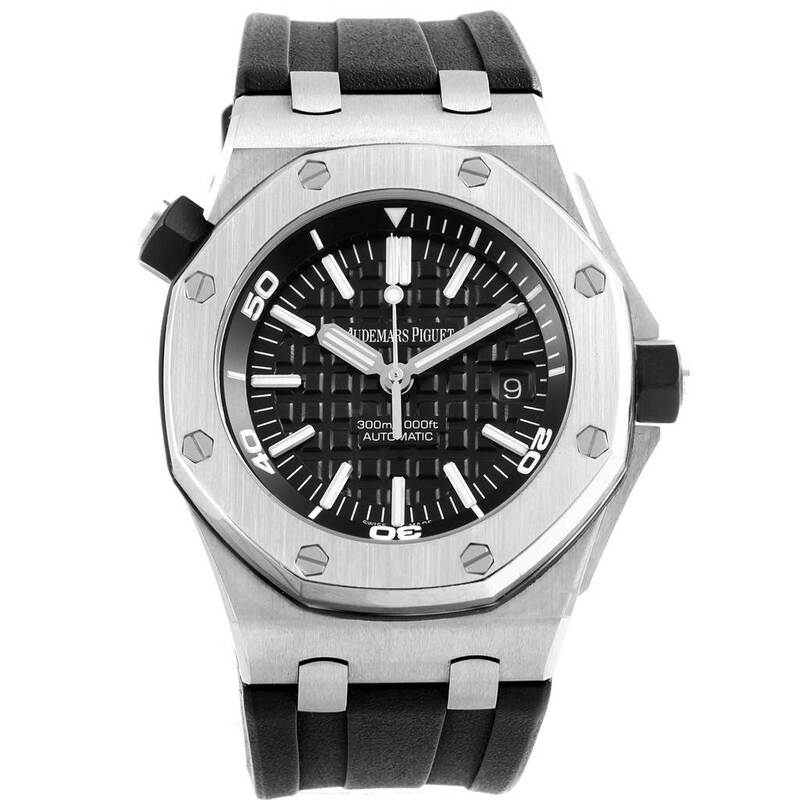 Audemars Piguet Royal Oak Offshore Watch 15703ST. Automatic self-winding movement. 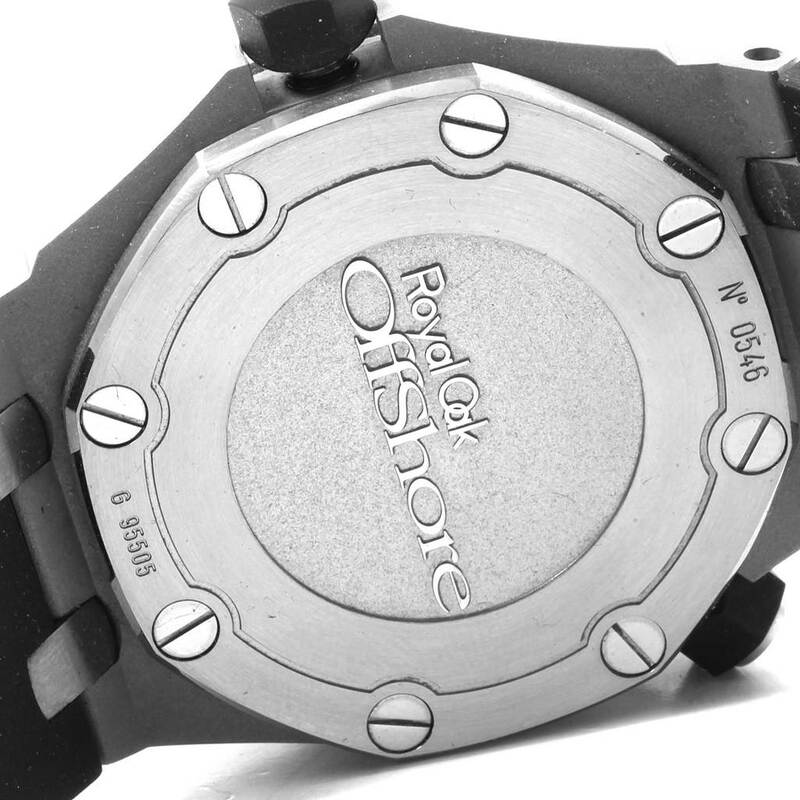 Stainless hexagonal case 42 mm in diameter. Case thickness: 13.9 mm. Solid case back. Black rubber-clad screw-locked crowns. 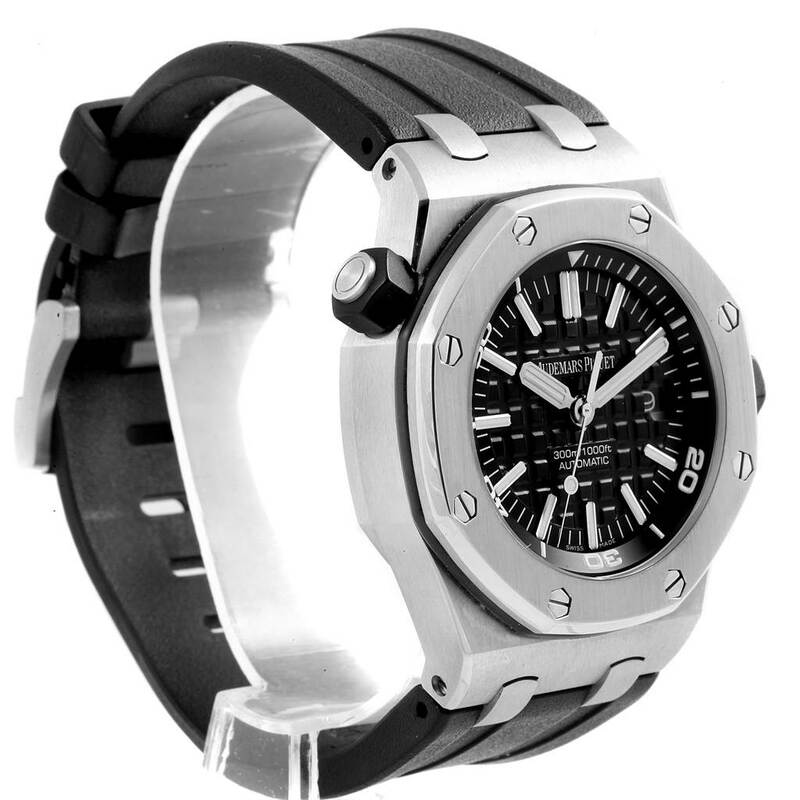 With Royal Oak OFFSHORE medallion. Stainless steel fixed bezel punctuated with 8 signature screws. Scratch resistant glareproof sapphire crystal. Black dial with Mega Tapisserie waffle pattern, white gold applied hour-markers and Royal Oak hands with luminescent coating. Hour hand faceted with 3 band of luminescent. Minute hand with single bank of luminescent. Seconds hand with a luminescent circle. Date window at 3 o'clock aperture. 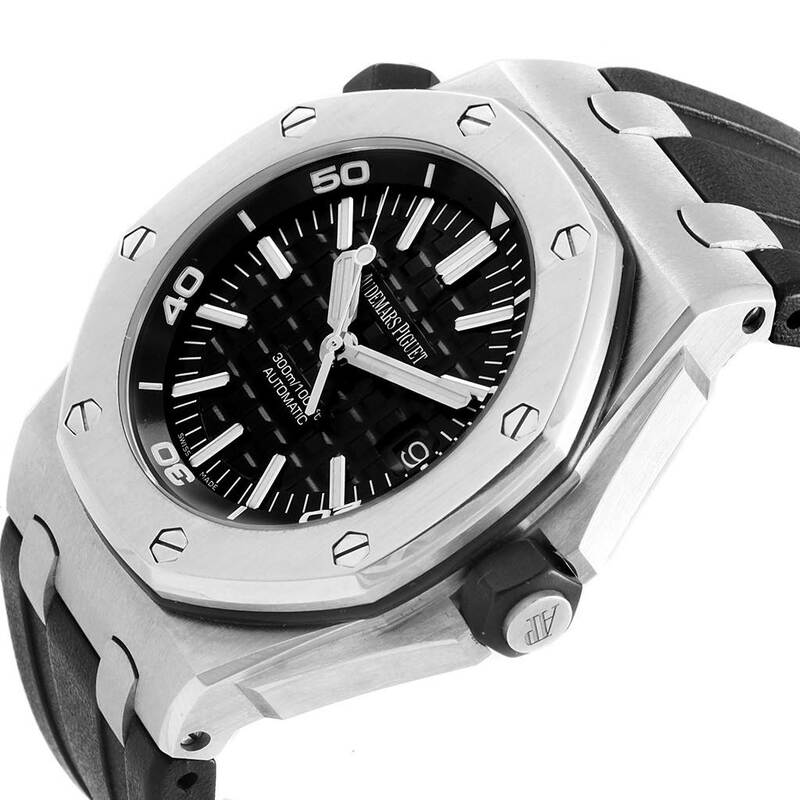 Black rotating inner bezel with diving scale and zone from 60 to 15 minutes. 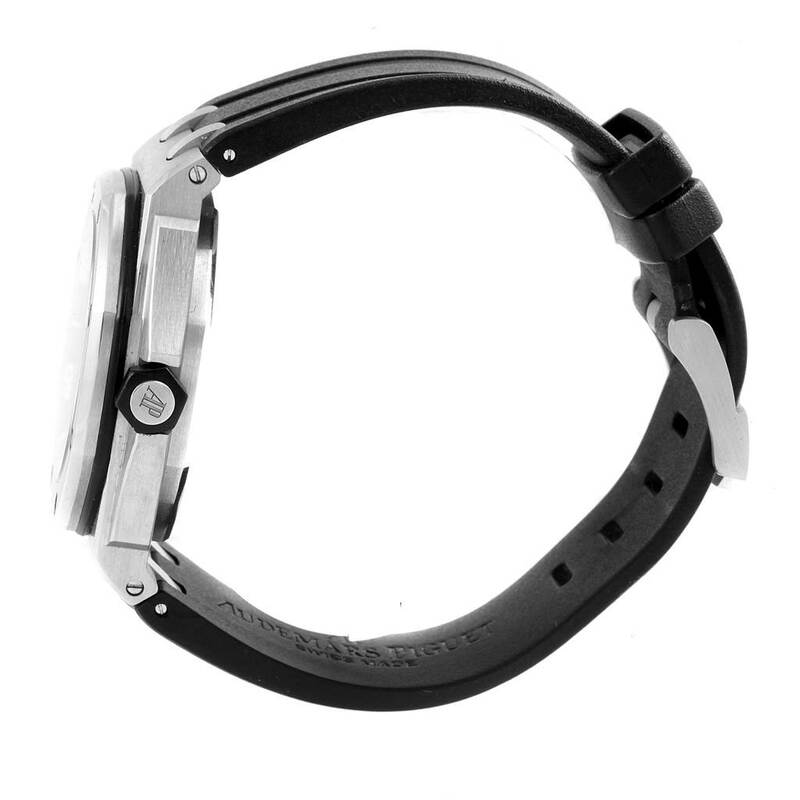 Black rubber strap with stainless steel tang buckle. .